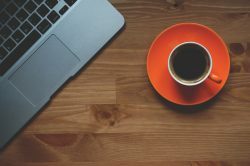 Home › Can’t I Just Attend Alcoholics Anonymous Online? Attending AA fully online is not nearly as effective as attending meetings in person, as the program is built on face-to-face social interaction and support as well as other benefits that cannot be gained by attending meetings online. For more information about rehab centers that will help you take the first steps to sobriety, call 800-839-1686 now. While many websites boast the potential for recovering individuals to attend AA meetings online, the program itself does not work as well in this way. This is because AA is a social group, one that allows individuals to meet one another face-to-face and as often as necessary to benefit their recoveries. According to the National Institute on Alcohol Abuse and Alcoholism, “People can attend MHGs [mutual-help groups like AA] as frequently or for as long as they want without insurance and without divulging personal information,” but the aspect of meeting others who are dealing with the same issues you are in a room and discussing this is absolutely essential. Why Can’t I Gain the Benefits of AA by Attending Online Meetings? Alcoholics Anonymous online has been shown to be less effective. Online meetings do not provide individuals in recovery with the level of support they need in order to gain the same sort of success experienced by those who meet others in person. Being on a computer, even when talking to someone else, is far too isolating for someone in this fragile state of recovery, and a face-to-face meeting is often necessary to a strong connection. According to the National Institute on Drug Abuse, participation in AA meetings and events is very important to one’s success with the program, and someone who is only interacting with the group online will not usually have the same draw to participate. In addition, many people in a text-only social situation will not be as courteous or respectful of one another, something that can be seen often in Internet groups. AA’s most important benefits are the social supports the program is able to build, and unless someone is unable to leave the home, online meetings are not usually considered as effective. Attending AA online will hardly provide you with the same sense of community as attending an actual meeting, and it is likely to become another aspect of your life that merely isolates you from others. Choosing to attend AA is often a beneficial decision, and since meetings are free and occur almost any time, doing so in order to find out if the program is right for you is not a difficult task. You can attend an AA meeting once, on its own, or choose a rehab center that incorporates 12-step therapy and meetings into its treatment program. Whatever you decide to do, it is best to work as hard as you can within the parameters of the treatment program and then to decide if it will be best for your needs. You can call 800-839-1686 to find rehab centers that provide AA meetings, 12-step facilitation therapy, and a number of other options to recovering patients. Let us help you find the right program for your specific situation, and call now.